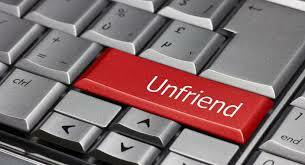 Before you unfriend that geek you unearthed at the unconference on unmarketing last week, pause for a moment of gratitude. You can thank two IBM researchers, Lance Miller and John Thomas, for our love of "un" words. But Shakespeare also favored "un" words. The Bard is responsible for no fewer than 314 of the ones that appear in The Oxford English Dictionary, including unsex, unshout, unspeak and unswear. And contemporary songsters like "un" words, too. I can’t unring the bell."